How Smart is a Smarthome That Has to Phone Home? We are currently experiencing an interruption in MyQ service. You may not be able to access MyQ via your mobile [device] or the website and may be receiving false notifications. Please rest assured; your doors and gates are not opening and all of your personal data is secure and uncompromised. These are false notifications. Our support and tech teams are working to restore MyQ services as quickly as possible. I wasn’t worried about the interruption in service (I have a regular remote and a keypad) until the notice said my door isn’t opening and the notification is false. It only took a couple of hours to get resolved, but it worried me and I’ve been thinking about it all week. Especially because we have relied on those notifications while away from home. For example, when you’re at Disneyland and get notified your garage door just opened, it’s scary until your father-in-law texts that you got a package and he put it in the garage for you. Not only was this non-operational, it was lying to me. I’ve been a champion of smart home devices for awhile now, mostly because they haven’t been "too smart" and created opportunities for things like this to happen. As smart home devices get more complex and the feature list increases, it seems great to pull in the driveway and have a series of events kicks off when your phone connects to your home Wi-Fi. Your lights come on, maybe some music or the TV, and when you walk up to the door, the lock detects your phone and opens, no key fumbling necessary. This sounds wonderful, but what if the door lock server is having a problem, or the internet is out in your neighborhood? Can you still get in? What if something happens to the servers, or the company who made the device decides to make it obsolete? I'm not even going to get into what all would be required if we sold our house with all of its tech intact, or what I would ask for if I were to buy a new house. This doesn't make me less of a fan of having all this stuff, but it was a reminder to really think through what you're signing up for. 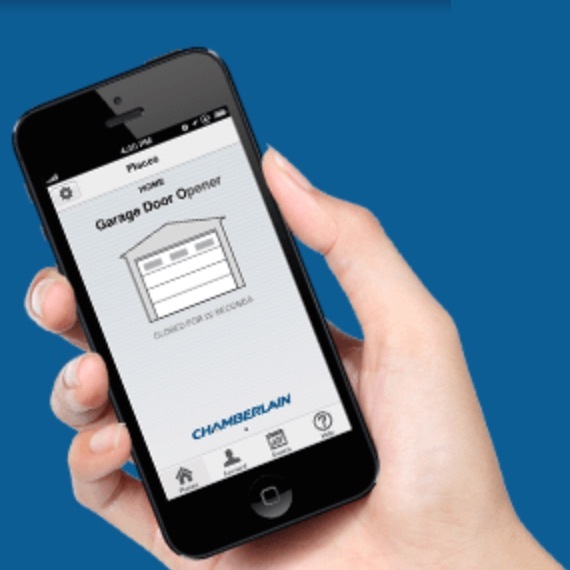 If Chamberlain's servers were to go down, I wouldn't be able to run the door with my phone app. If I don't have the door remote with me, then I end up having to get out of my car and press buttons on a keypad to open the garage door. Like a caveman. Not all smarthome gadgets require internet access to work, and not everything needs to "phone home" in order to operate. But a lot of them do, and if that's the case, it's a good idea to make sure you know exactly what situations will cause things to break, and what sort of troubleshooting you need to do so you can figure out where the problem is. So while I'm still very much enjoying the small things that my house does automatically, and that I can make sure all the lights are off (or on) even when I'm not home, this week was an object lesson in What Could Go Wrong. It reminded me to take stock of what we have and how to work around it if necessary, and I encourage you to do the same thing.